These activities will help familiarise you with your chosen course, introduce you to the Peninsula Allied Health Centre and the main city centre university campus and also signpost some of the support services available to you. Card collection* - we cannot issue your card if you do not bring your passport. • Dawes, M., Davies, P., Gray, A., Mant, J., Seers, K. and Snowball, R. (2005) Evidence-Based Practice. A Primer for Health Care Professionals. 2nd edn. London: Churchill Livingstone. • Hoffmann T, Bennet S, Del Mar C. Evidence-based Practice Across the health professions (2013) Elsevier. • Horton-Szar D, Polmear A. Evidence-Based Medicine: Reading and Writing Papers (2015) Elsevier. (new book). • Grove SK. Statistic for Health Care Research (2007) Saunders-Elsevier. (new book). • Waugh A and Grant A (2014) Ross and Wilson Anatomy and Physiology in Health and Illness, 12th Edition; Churchill-Livingstone, Elsevier. • Marieb EN (2014) Essentials of Human Anatomy and Physiology, 10th Edition; Edinburgh: Pearson. • Porter, S. (2008) The Anatomy and Colouring Workbook. 2nd edn.Oxford: Butterworth Heinemann. • Snell, R., Lemp, M.A. (1998) Clinical Anatomy of the Eye. 2nd edn. Oxford: Blackwell Scientific Publications. • Lens, A., Ledford, J., Nemeth, S.C. (2008) Ocular Anatomy and Physiology. 2nd edn. New Jersey: Slack Inc.
• Oyster, C.W. (1999) The Human Eye : structure and function. Sinauer Associates. • Bron AJ. (1998) Wolff’s Anatomy of the Eye and Orbit, 8th ed. Chapman and Hall. • Tunnacliffe, A.H., and Hirst A.G. (1996) Optics.2nd edn. Association of Dispensing Opticians. • Freeman, M.H. (2003) Optics 11th edn. London: Harcourt. • Stoner, E., Perkins, P., Ferguson, R. (2005) Optical formulas Tutorial. 2nd edn Missouri: Butterworth Heinemann. • Elliot , D.B. (2007) Clinical Procedures in Primary eye care. 3rd edn. Edinburgh: Butterworth- Heinemann. • Grosvenor, T.P. (2007) Primary Care Optometry, 5thth edn. Butterworth & Heinemann. • Rosenfield and Logan. Science, Techniques and Clinical management. (2009). 2nd edn. Butterworth and Heinemann. • Kaufman, P.L. and Alm, A. (2011) 11thth ed. Adler's physiology of the eye. Mosby. • Tunnacliffe AH. (1993) 4th ed An introduction to visual optics. Assoc. 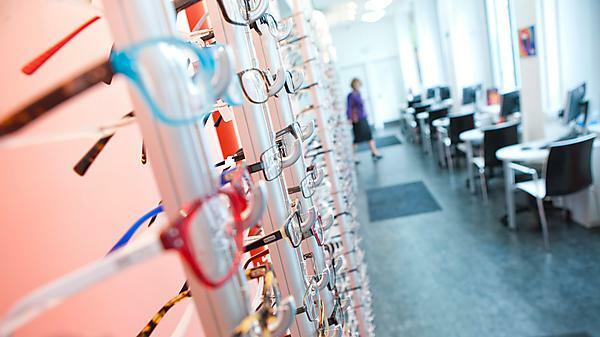 of British Dispensing Opticians. • Rabbetts, R.B. (2007) Bennett and Rabbetts' Clinical visual optics. Butterworth-Heinemann. • Goldstein, E.B. (2009) Sensation and Perception. Wadsworth. • Mather, G. (2009) Foundations of sensation and perception. 2nd edn. Hove: Psychology Press. • Snowden, R.J. (2006). Basic vision: an introduction to the visual system. 2nd edn. Cambridge: Cambridge University Press. • Benjamin, W.J. (2006) Borish’s Clinical Refraction. 2nd edn. Butterworth-Heinemann. • Elliot, D.B. (2014) Clinical Procedures in Primary eye care. 4th edn. Butterworth-Heinemann. • Doshi, S. & Harvey, W. (2005) Assessment & Investigative techniques. Butterworth-Heinemann. • Evans, B.J.W. (2007) Pickwell’s binocular vision anomalies. 5th edn. Butterworth-Heinemann. • Dickinson, C (1998) Low Vision- Principles and Practice. Butterworth Heinemenn. • Efron, N (2002) Contact lenses A-Z. 2nd edn. Edinburgh: Butterworth-Heinemann. • Gasson, A., Morris, A.J. (2010) The Contact Lens Manual: A Practical Guide to Fitting, 4th Edition Butterworth Heinemann. • Rosenbloom A.A. (2006) Rosenbloom & Morgan's Vision and Aging. Butterworth Heinemann. • Kanski, J.J. (2011) Clinical Ophthalmology, A systematic approach. 7th edn. Edinburgh: Saunders. • Harry, J. and Misson, G. (2002) Clinical ophthalmic pathology. Edinburgh: Butterworth-Heinemann. • Bartlett, J., Jaanus, S.D., Blaho, K.E. (ed.) (2008) Clinical Ocular Pharmacology. 5th edn Butterworth-Heinemann. • Onofrey, B.E., Skorin, Jr. L., Holdeman, N.R. (2011) Ocular therapeutics handbook. 3rd edn. Philadelphia: Lippincott Williams & Wilkins. • Hopkins, G, Pearson, R. O’Connor Davies, P (2006) Ophthalmic Drugs: Diagnostic and therapeutic uses. 5th edn. Oxford: Butterworth-Heinemann. • Katzung, B.G. (ed) (2012) Basic and Clinical Pharmacology 12th edn. Lange Medical Books/McGraw Hill. • Jalie, M. Ophthalmic Lenses & Dispensing, 3rd Edition Butterworth-Heinemann. • Jalie, M. and Wray L. (1987) Practical Ophthalmic Lenses London:ABDO. • Wakefield, K (2000) Bennett's Ophthalmic Prescription Work Butterworth-Heinemann. • Fowler, C. and Latham, K (2001) Spectacle Lenses Theory and Practice Butterworth-Heinemann. • Eperjesi, F. and Rundstrom, M.M. (2003) Practical Binocular Vision Assessment. Butterworth Heinemann. • Evans, BJW. (2007) Pickwell’s binocular vision anomalies: Investigation and treatment. 5th edn. Philadelphia: Butterworth-Heinemann. • Harvey, W. (2004) Paediatric Optometry. Butterworth Heinemann. • Harris, M.and Taylor, G. (2008) Medical statistics made easy. 2nd Ed: Scion Publishing. • Polgar, S. and Thomas, S.A. (2008) Introduction to Research in the Health Sciences. Edinburgh: Churchill Livingstone. • Bury, T. and Mead, J. (1998) Evidence-based healthcare. Edinburgh: Butterworth-Heinemann. • Day, R.A. (2006) How to write and publish a scientific paper. Cambridge: Cambridge University Press. • Brazier, M. (2007). Medicine. Patients and the Law, 4th edn. Penguin Group. • Jones, M. (2008) Medical Negligence. 4th edn. London: Sweet & Maxwell. • Pierscionek, B.K. (2008) Law and Ethics for the Eye Care Professional, Butterworth Heinemann. • Thal, L. & Quintero, S. (Ed). (2010). Business Aspects of Optometry. 3rd edn. Oxford: Butterworth-Heinemann. • Hirji, N. (1999) Business Awareness for Optometrist: A Primer. Butterworth Heinemann. • Field, A. (2000) Discovering statistics using SPSS for windows. London: Sage. • Hicks, C. (2009) Research methods for clinical therapists. Edinburgh: Churchill Livingstone. • Walsh, Thomas (ed) (2010) . Visual Fields. 3rd edn. Oxford: OUP. • Evans, B.J.W. (2007) Pickwell’s binocular vision anomalies. 5th edn. Butterworth Heinemann. • Efron, N (2004) Contact lens complications. 2nd edn. Edinburgh: Butterworth-Heinemann. • Jackson, J and Wolffsohn (2006) Low vision manual. London: Butterworth Heinemann. • Phillips A.J. and Speedwell, L. (2007) Contact lenses. 5th edn. Philadelphia: Elsevier. • Bruce, AS and Loughlan, MS (2011); Anterior Eye Disease and Therapeutics A-Z, 2nd edition; Churchhill Livingstone. • Kanski, J.J. and Jones, P. (2003) Ocular Manifestations of Systemic Diseases: Clinical Signs and Differential Diagnosis. Butterworth Heinemann. • Onofrey, BE, Skorin, L and Holdeman,NR (2011) Ocular Therapeutics Handbook: A clinical manual. Lippincott Williams and Wilkins; 3rd Revised edition. • Clousten T., Westcott, L., Whitcombe, S.W., Riley, J. and Matheson, R. (2010) (Ed) Problem Based Learning in Health and Social Care. Oxford: Blackwell. • Cottrell, S. (2013) The study Skills handbook Palgrave Macmillan 4th Edn. • Kertes, P.J. and Johnson, T.M.M. (2014) Evidence-based eye care. 2nd edition. Philadelphia: Wolters Kluwer Health. • Warburton, N. (2012) A-Z of Critical thinking. • Smith, N. (2000) Lighting for Health and Safety Butterworth-Heinemann. • Carson, G., Doshi, S. and Harvey, W. (2008) Eye Essentials: Environmental & Occupational Optometry Butterworth-Heinemann. • Gilbert, P., (2013) Ophthalmic Lens Availability London:ABDO. To study on this programme you must complete registration with the GOC by 31 October 2018. Instructions and details can be found here.